Boil some pasta, add your favorite sauce, and serve, right? 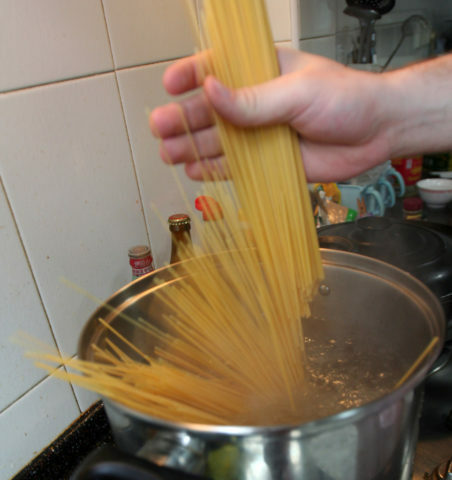 Well, even I manage to gussy up my spaghetti a bit more than that. But all things considered, it’s a quick meal that’s both flavorful and satisfying. Whole wheat pasta is something that takes just a few minutes to prepare, and everyone is happy to see it on their dinner plate. The key to keeping your meals diabetic safe while maintaining a diet that the whole family will enjoy is to jump on any opportunity to switch out ingredients that may be higher on the Glycemic Index Food Chart for similar items that are lower on the scale. Generally speaking, most pasta is relatively low on the scale. However, by using whole wheat pasta you can lower your overall glycemic intake by another 10%. Even small improvements will help keep your blood glucose in the safe zone. 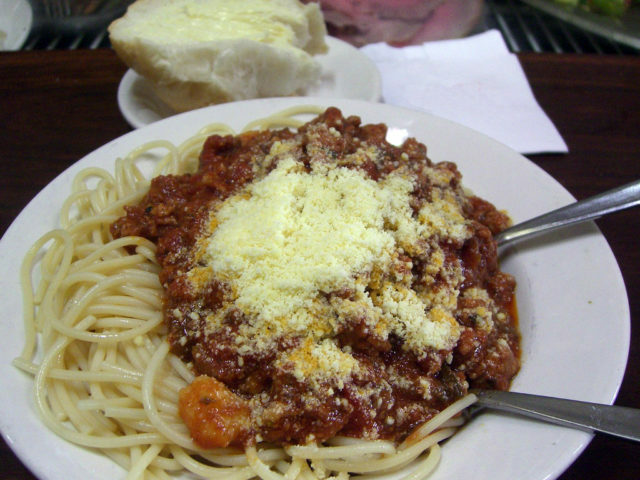 Beyond the pasta itself, most spaghetti dishes consist of a tomato-based sauce that may also include meat. The beauty of this combination is the meat, for the most part, is a protein and the tomato sauce is a vegetable. Both are pretty safe items for your diabetic diet. By wisely choosing your pasta to maximize its complex carbohydrate characteristics, you can eat a good sized portion without creating a huge spike in your blood sugar the next morning! For myself, after eating an evening meal large enough to be concerned about what the dreaded meter will read the next morning, I’m always surprised. Usually, there is little affect on my overnight fasting glucose reading. I prefer to serve the meat sauce on top of a bed of cooked noodles. Sprinkled with Kraft Parmesan cheese and a slice of garlic toast on the side, and I’m a happy camper. For the meat in my sauce, I use 1 pound of frozen ground turkey. It’s about the cheapest meat in the market, and if you’re trying to limit your intake of red meat, it cooks up every bit as good as ground beef. Plus, there’s little or no fat to drain off after it’s cooked. When the meat is almost browned, I add a chopped onion for some extra flavor. Once the onions become translucent and the meat is browned through, add a jar of your favorite sauce. Simmer until all is warm — while you’re making your garlic toast — and dinner is ready to serve. 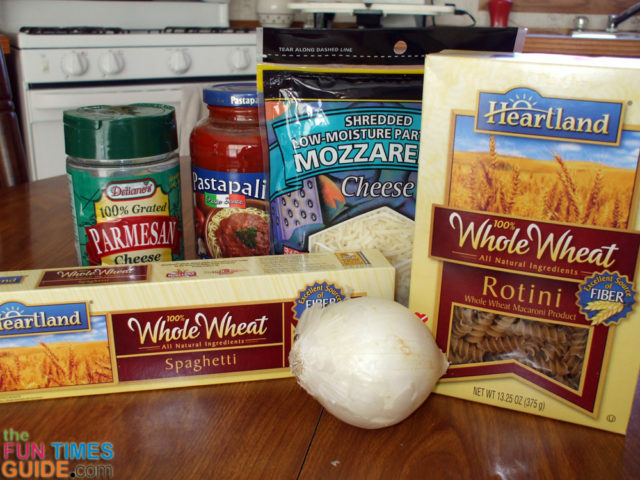 Simple whole wheat spaghetti has become one of our favorite meals that makes it to our menu every few weeks. When you’re too tired to cook, this is one dish you can still prepare that everyone will love… including any diabetics in the family! So, what’s your favorite diabetic friendly recipe?